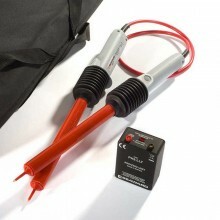 LLT 11kV Kit Includes: 1 x 11kV Live Line tester, 1 x phasing rod, 2 x std. 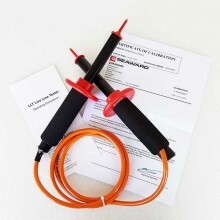 bent end adaptors, 2 x extension rods, 2 x head line adaptors, Proving unit, all leads, cleaning kit & operating instructions in a rigid carry/storage case. 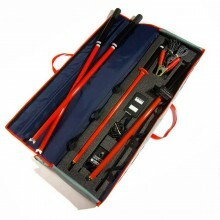 All components are housed within a heavy duty carry case with secure compartments. 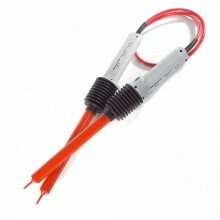 Individual kits are available for system voltages of 3.3kV, 6.6kV, 11kv, 13.8kV and 33kV (50/60Hz). 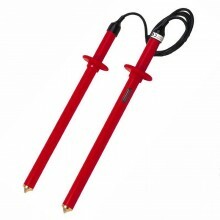 Made from high quality fibreglass rods and polycarbonate mouldings the equipment is suitable for both indoor and outdoor use – including wet conditions. 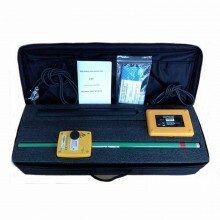 The equipment has been designed to operate within the temperature range: - 25 ̊C to + 50 ̊C. 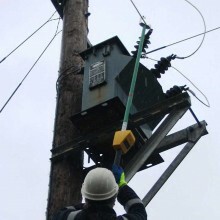 Designed to comply with the requirements of IEC1243 part 2, the Metrohm LLT 11kV uses long established techniques for high voltage measurement. 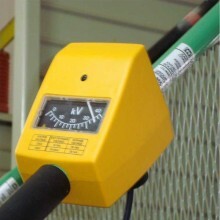 All readings are displayed on an analogue meter – the housing of which can be rotated through 240 degrees to ensure a perfect viewing position. 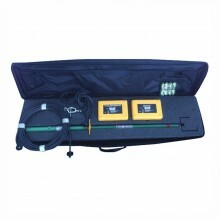 Only personnel who are fully trained in the use of Live Line Testers should use this equipment. 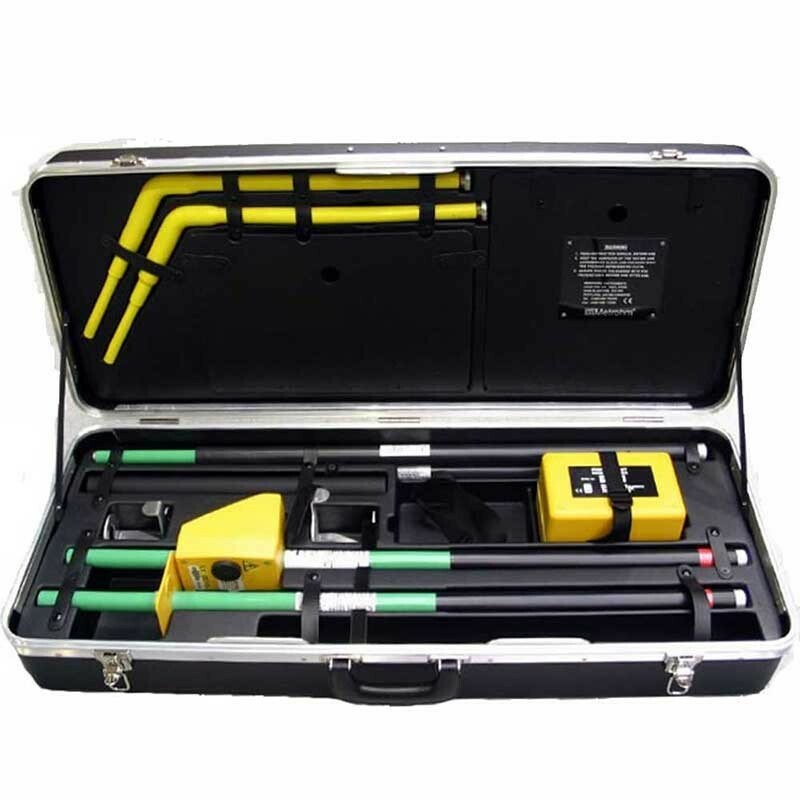 Ensure the tester and accessories are clean, free from cracks or deep scores, and are properly secured together. Make certain that the Tester is properly rated for the voltage of the system under test. Test the operation of the assembled Tester complete with accessories before and after each test. Do not allow a live high voltage conductor to come in contact with the detector at point below the limit mark. 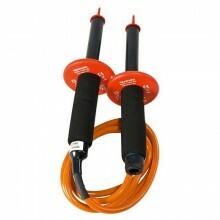 The Tester must never be used without a handle or without insulating rods incorporating a handle. Safe working distances must always be observed. Always connect the earth lead clip to a secure earthing point before performing a test. Designed to comply with the requirements of IEC1243 part 2.